“This is nonsense. If the US had proof that aliens have visited Earth, the President would have to know, because in his role as Commander-in-Chief he might have to make immediate top-level strategic decisions, if the situation suddenly became hostile. “The President needs to know all the big, important things, as part of a culture of no surprises. If anyone in the military industrial complex is keeping UFO secrets from President Trump, or suggesting he keep quiet about things, they may be in for a rude awakening. “He’s a particularly forceful and strong-willed president, and won’t take kindly to being kept in the dark or told how to play the UFO issue. 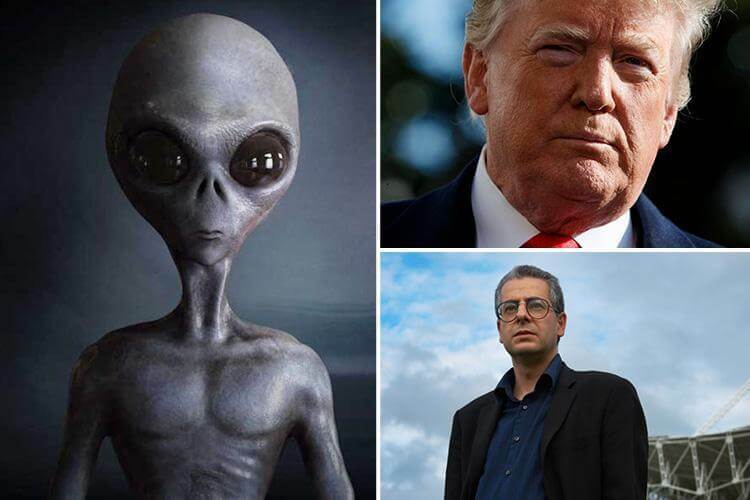 Pope, who ran the UK’s now defunct UFO project from 1991 to 1994 said he hopes the president takes an interest in the issue – and would be happy to use his expertise to help him. “I hope President Trump takes a personal interest in this and I’d be happy to get involved,” he said.